Wow! This is so awesome! 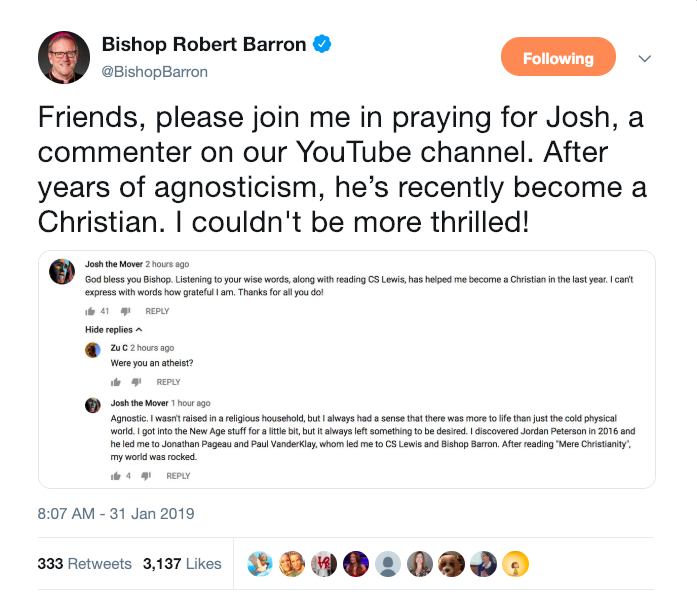 Bishop Robert Barron of the Archdiocese of Los Angeles recently tweeted about a young man who became Christian after years of watching and commenting on his Word on Fire Videos. The bishop posted a photo of the story, asking the faithful to pray for this man. Josh responds, “Agnostic. I wasn’t raised in a religious household, but I always had a sense that there was more to life than just the cold physical world. “I got into the New Age stuff for a little bit, but it always left something to be desired. 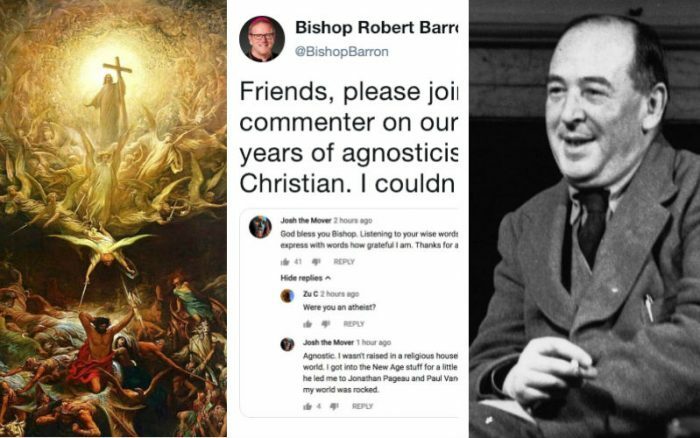 More than a hundred responses followed Bishop Barron’s tweet, many of which praised God for his goodness. Some also said that Bishop Barron has been instrumental in additional conversions!